Clockwise from top left: “Weathering Heights” panelists Jocelyn White, David Finfrock, Kristine Kahanek, Gloria Campos, Remeisha Shade, Milmar Ramirez. Join them all on Monday, Feb. 29th. As a first-year member of the Press Club of Dallas board, your friendly content provider has made it a personal goal to put together events of import that will inform, entertain and maybe even leave a lasting imprint. The latest, titled “Weathering Heights,” comes five months after the Press Club’s very well attended sendoff to award-laden WFAA8 investigative reporter Byron Harris. 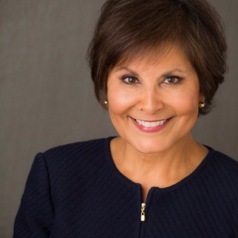 JOCELYN WHITE -- D-FW’s first woman chief weathercaster and formerly of KDFW-TV (Ch. 4) when it was still a CBS affiliate. KRISTINE KAHANEK -- Former chief meteorologist for CBS11 (after earlier working at WFAA8) and still only the second woman to date to hold that position in D-FW. REMEISHA SHADE -- Current NBC5 forecaster and the first African-American woman with a meteorology degree to do weathercasts full-time in D-FW. MILMAR RAMIREZ -- Weekend weathercaster at D-FW’s Telemundo39 and the station’s first fully accredited woman meteorologist. 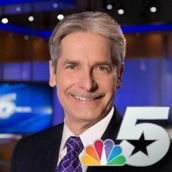 DAVID FINFROCK -- The reigning dean of all D-FW meteorologists whose 35-year tenure at NBC5 spans the careers of all his fellow panelists. 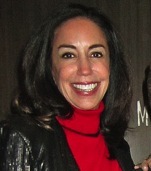 GLORIA CAMPOS -- Panel moderator and former trailblazing anchor for WFAA8. Admission is $20 and you can buy tickets in advance at pressclubdallas.com. You also can pay $20 at the door, but advanced purchases are recommended to avoid any crush. It’s at the same terrific venue -- the 3015 at Trinity Groves event center -- that hosted the Byron Harris event. Doors open at 6:30 p.m., with the panel scheduled to start between 7 and 7:15 p.m.
***Wine, beer, soft drinks and “gourmet bites” (which were much-praised at the Byron Harris event). ***A copy of revered Dallas journalist Hugh Aynesworth’s book November 22, 1963: Witness to History. ***A $5 donation from each admission to the American Red Cross of North Texas for tornado relief efforts. Any net proceeds will help to defray expenses and support the mission of the Press Club of Dallas to hold more events such as these at a minimal cost or for free. Unclebarky.com has been providing independent coverage of local and national television since launching on Sept. 17, 2006. It’s always been free of charge and will never be a subscription site. But if you’d like to support unclebarky.com and all the coverage you won’t get elsewhere, then buy into “Weathering Heights” by purchasing a ticket or two. You won’t be disappointed and your friendly content provider’s heart might even go pitter-pat.